Architectural drawings are an important component of researching a space or building. 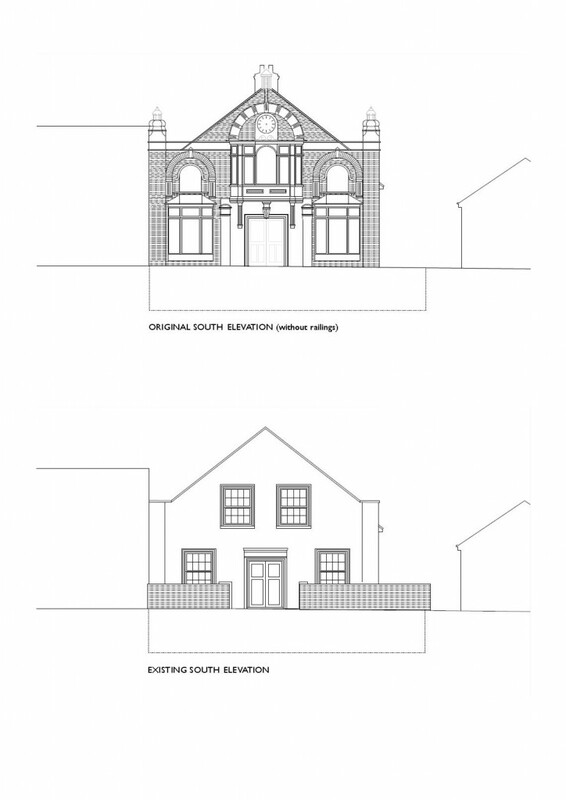 I am very fortunate to have the talented young Sidmouthian architect Paul Jeffries working with me on this project. He has given his time and skills for free and produced all the images on this page. Reconstructing what the building originally looked like is a long and painstaking task which requires constant reference back to the partial photographic record we have managed to find. As such the image is being constantly revised in the light of new knowledge. Areas which are greyed out are where further revision is needed.